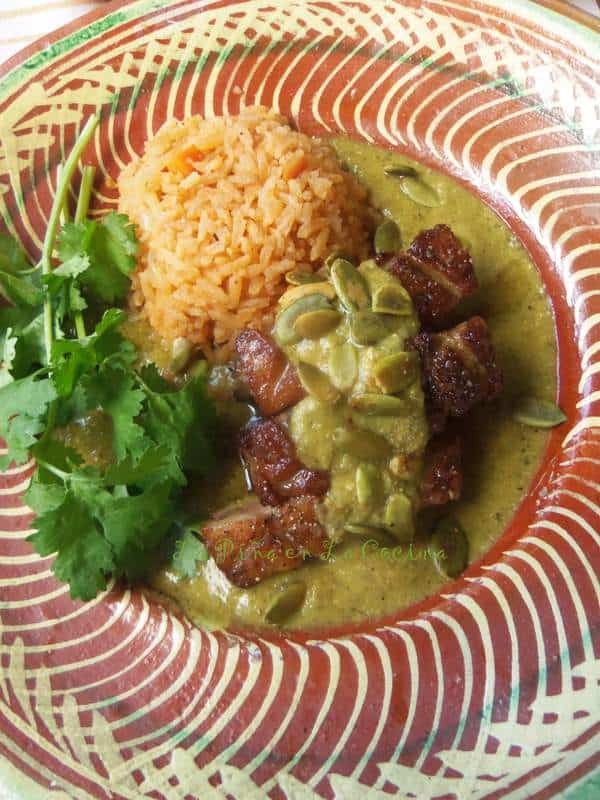 Pipian verde is a delicious sauce prepared with a combination of fresh ingredients, like tomatillo, cilantro and serrano peppers. That what mostly gives the pipian it’s beautiful green color. 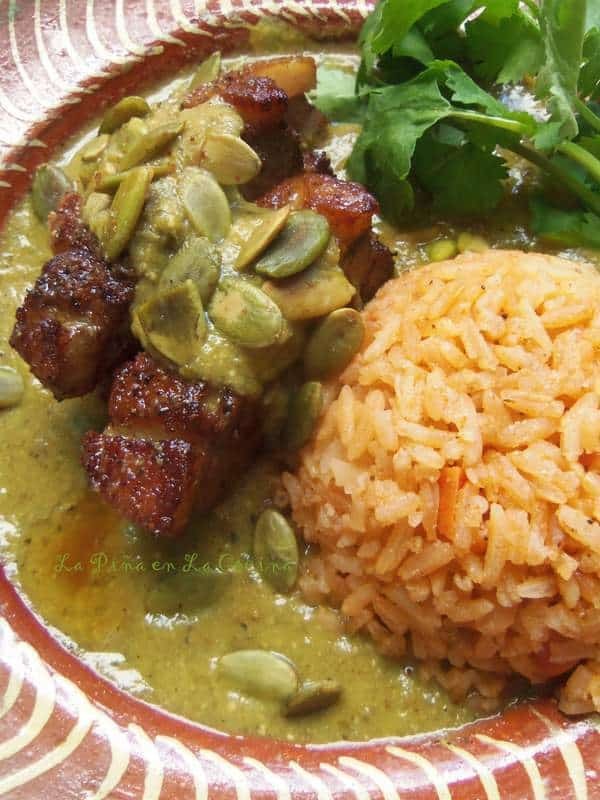 The addition of the toasted pepitas(pumpkin seeds) add a subtle nutty flavor. Today I am pairing the sauce with a pan seared duck breast! 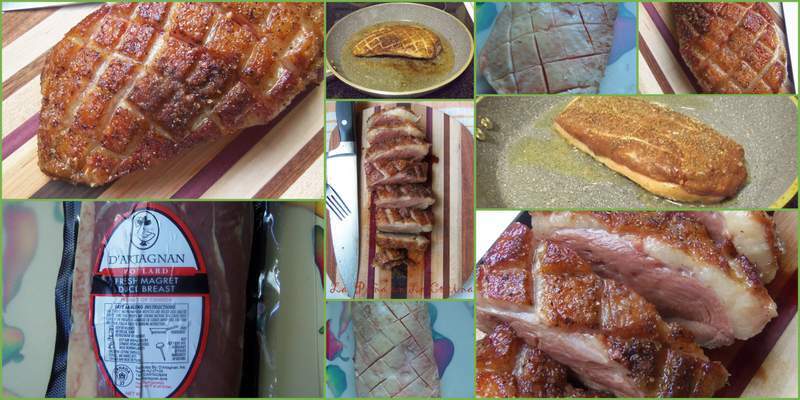 I am excited that I learned how to cook duck breast and I couldn’t wait to share it with you! 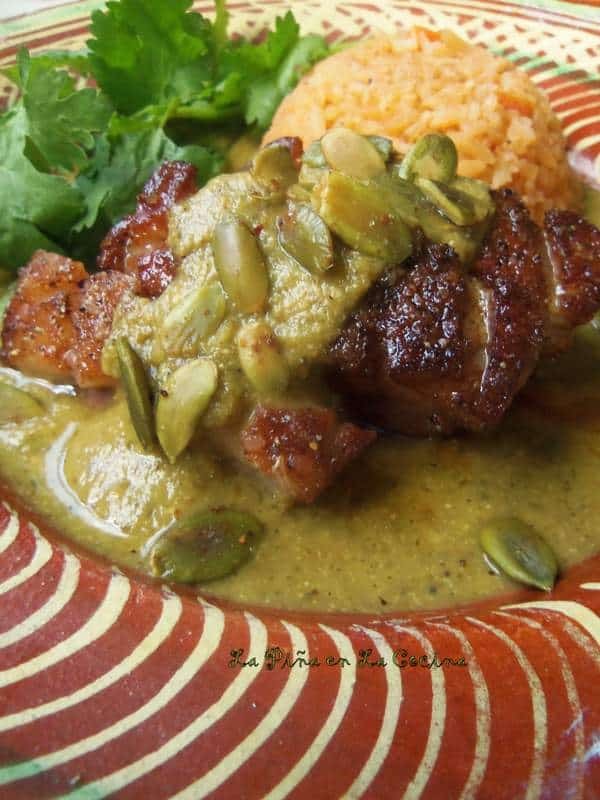 This pipian sauce pairs well with poultry, but can certainly be served over your favorite pork chop or steak as well. 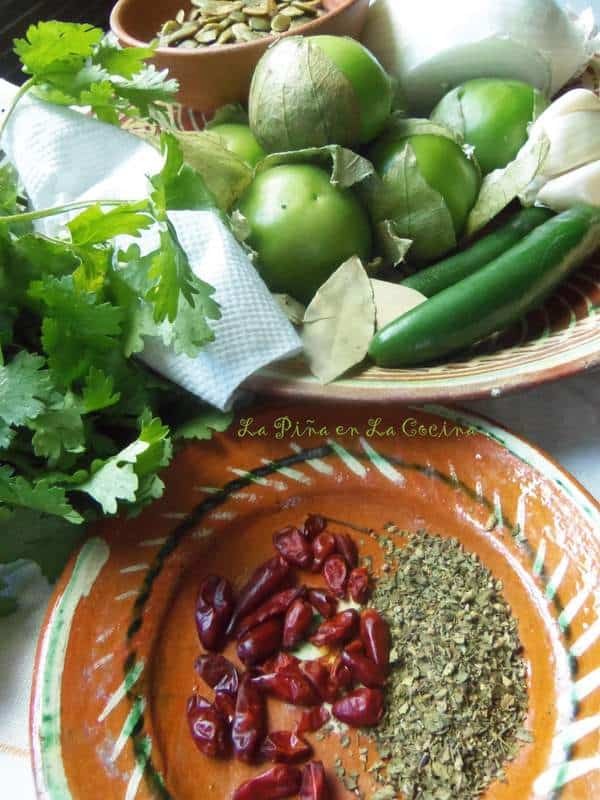 For the sauce: In a large skillet or comal at medium heat, add the onion, garlic serrano, tomatillos and chile piquin. Drizzle lightly with olive oil and cook the vegetables until the skins begin to blacken in spots and vegetables cook through most of the way. Remove the chile piquin after a minute, set aside. Turn as needed, removing the cloves of garlic after 15 minutes.. 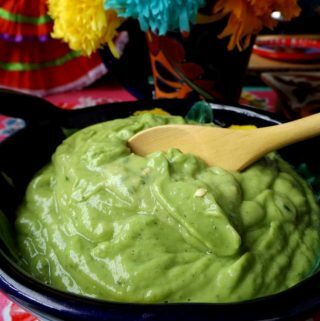 Remove skins from garlic, add to blender, along with onion, serrano, tomatillos, chile piquin, 1/4 cup pepitas, cilantro, oregano, bouillon, chicken broth, salt and pepper. Blend on high until smooth. Taste for salt and pepper. Heat 2 tablespoons of olive oil to medium heat in a sauce pan or skillet. 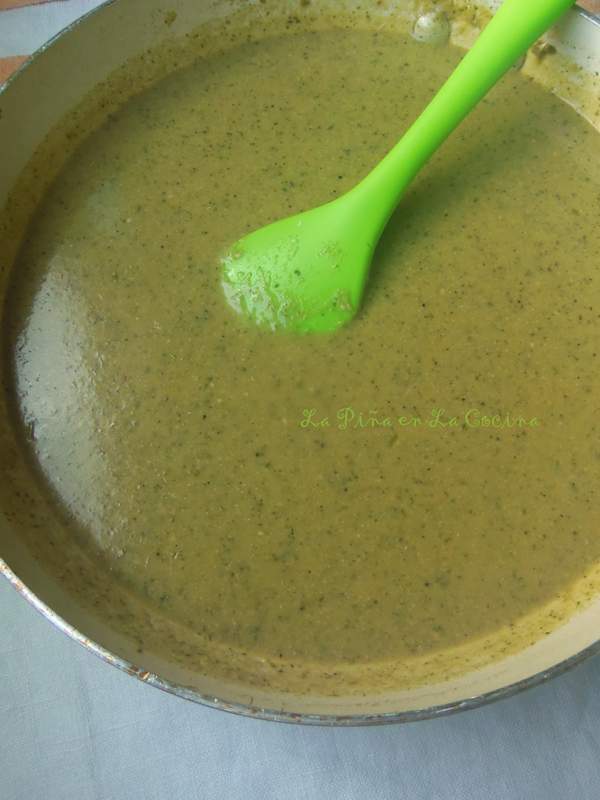 After a few minutes pour in the pipian sauce from the blender. Bring to a boil, reduce to a simmer and continue cooking partially covered for 20 to 25 minutes. Taste for salt, cover and remove from heat. For the duck: Preheat oven to 395 degrees F. Season the duck breast with salt and fresh cracked pepper on both sides. Place duck, skin side down, into a cold cast iron skillet or heavy skillet. Heat to medium. In about 8 to 10 minutes the skin should be brown, crisp and ready to flip over. When it's crisp and brown, flip over and cook for 1 minute. Transfer the whole pan to the oven and continue cooking for 4 to 6 minutes or until the internal temperature reads between 143 and 145 degrees F. Remove from oven, then transfer duck breast to cutting board and cover loosely with foil paper. Let rest for 5 minutes. If you need, warm the pipian sauce while the duck is resting. Slice the breast into 8 slices. Ladle the pipian sauce generously over the duck. Serve with rice. Yields 2 to 4 servings. 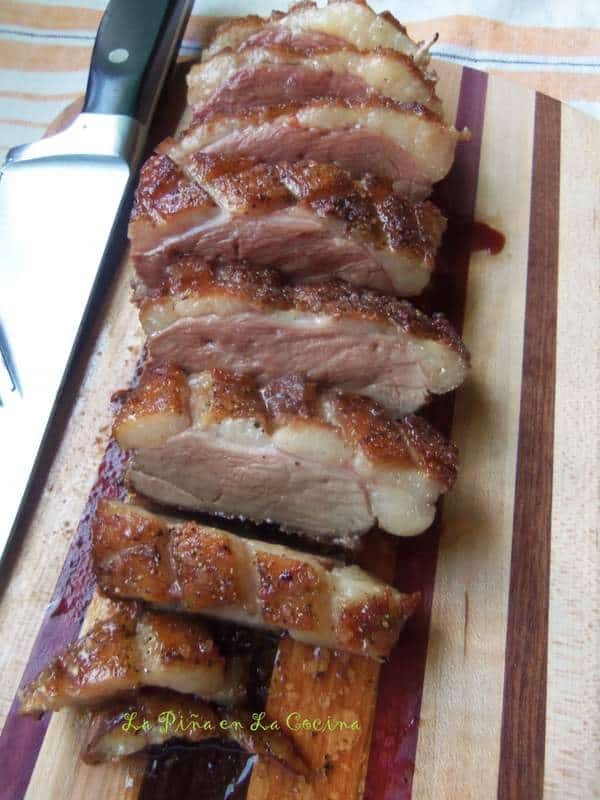 If I had to say one thing about this duck breast, it would be, eat and enjoy it! It’s not quite the same re-heated for leftovers. I really enjoy incorporating the dried chile piquin into my recipes for that extra kick of heat and smoky flavor. 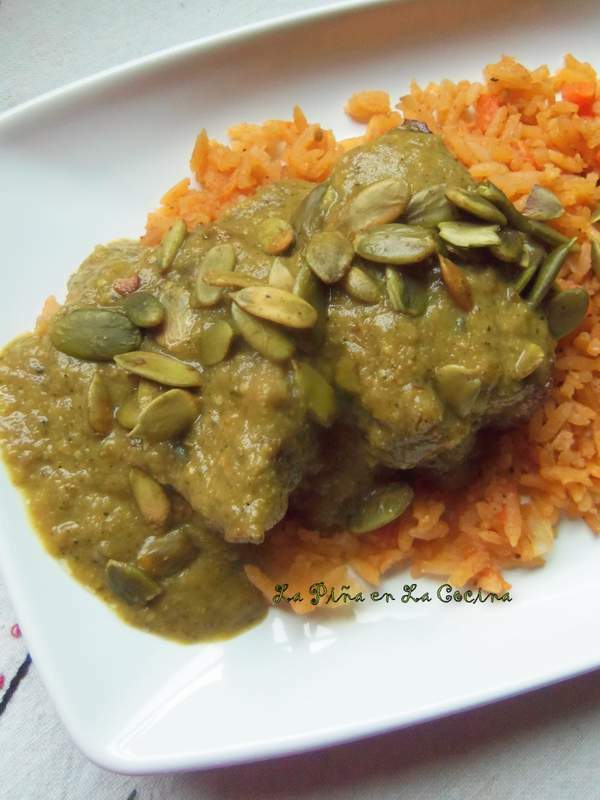 My favorite side for this type of dish is a simple Mexican-style rice. 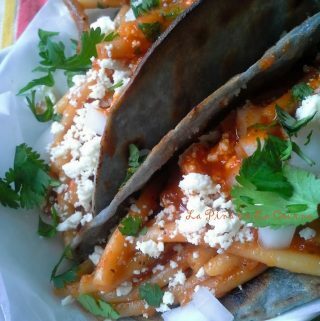 Serve with warm corn tortillas. Plating on a white plate really makes the colors of your recipe pop! 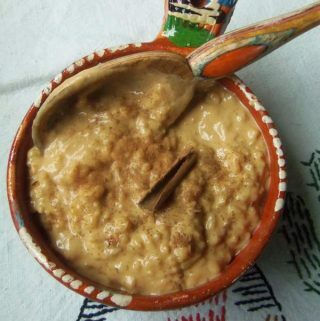 Type Mexican Rice into the search bar to see full recipe on site. 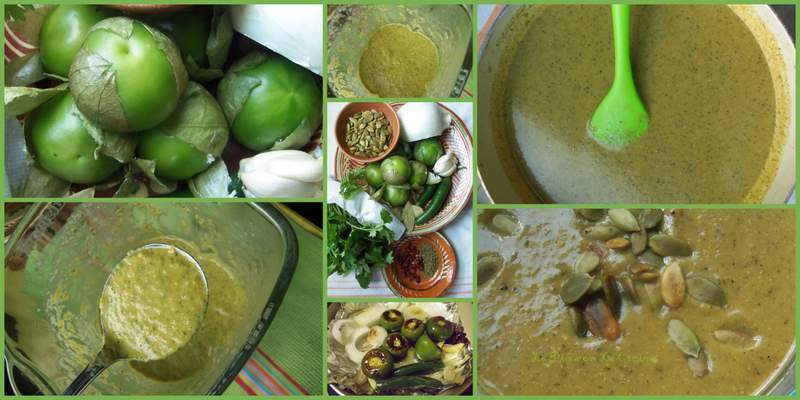 Tomatillo Avocado Salsa-The Green Sauce!